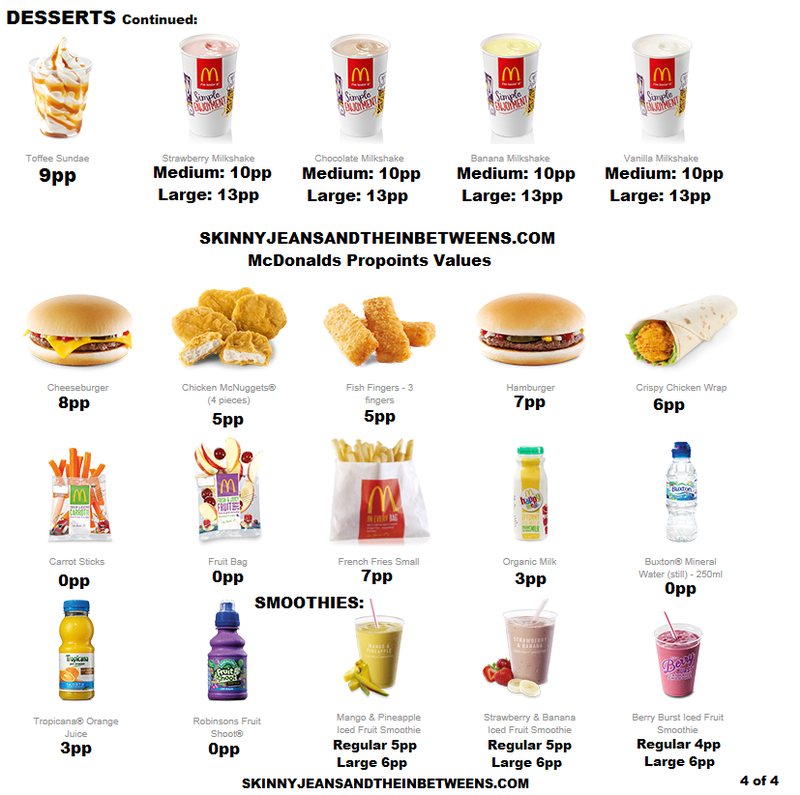 Ba da ba ba ba I’m Lovin’ it. Have I got a treat for you! 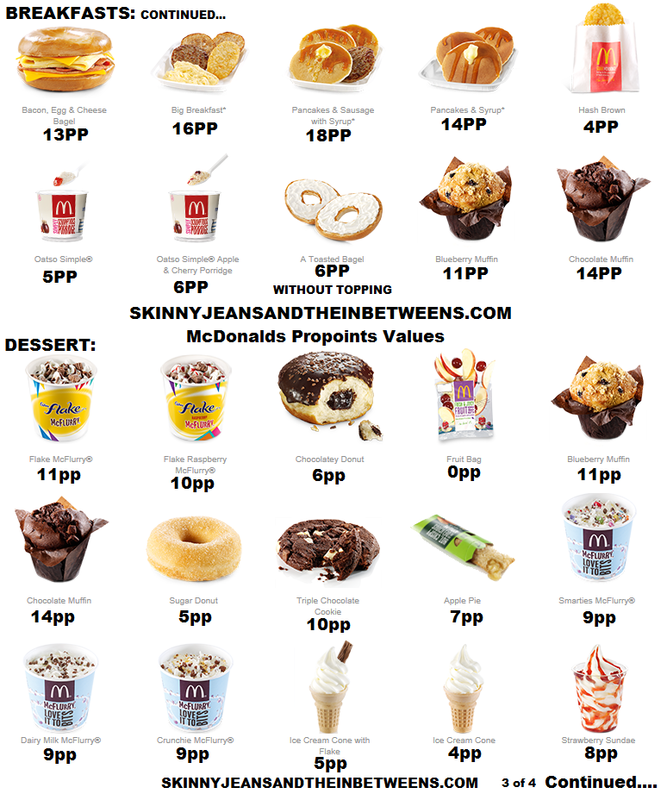 The Complete McDonalds Menu in Propoints format. No way! I’m way too good to ye! 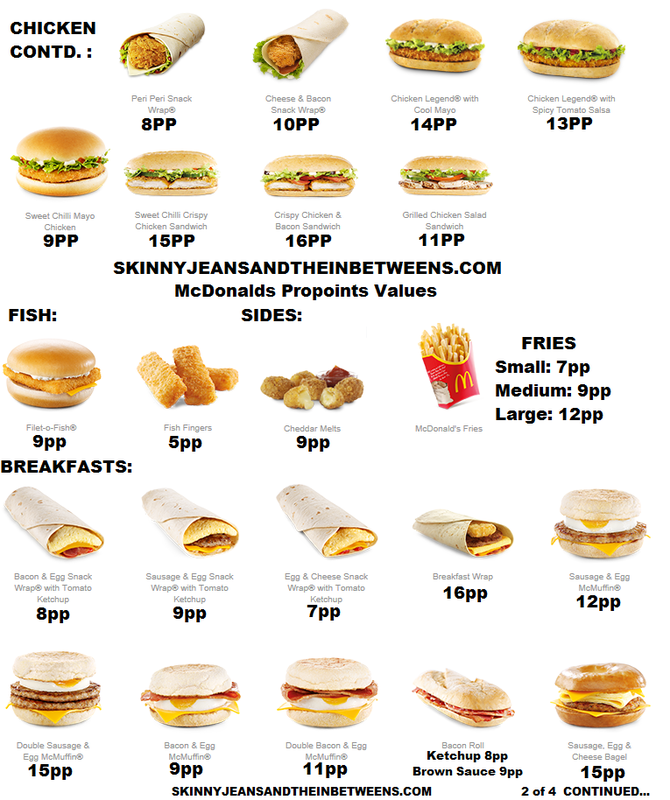 Here’s a handy visual guide I compiled especially for you to take with you on the go so you can make the best decisions while eating in everyone’s favourite fast food joint. 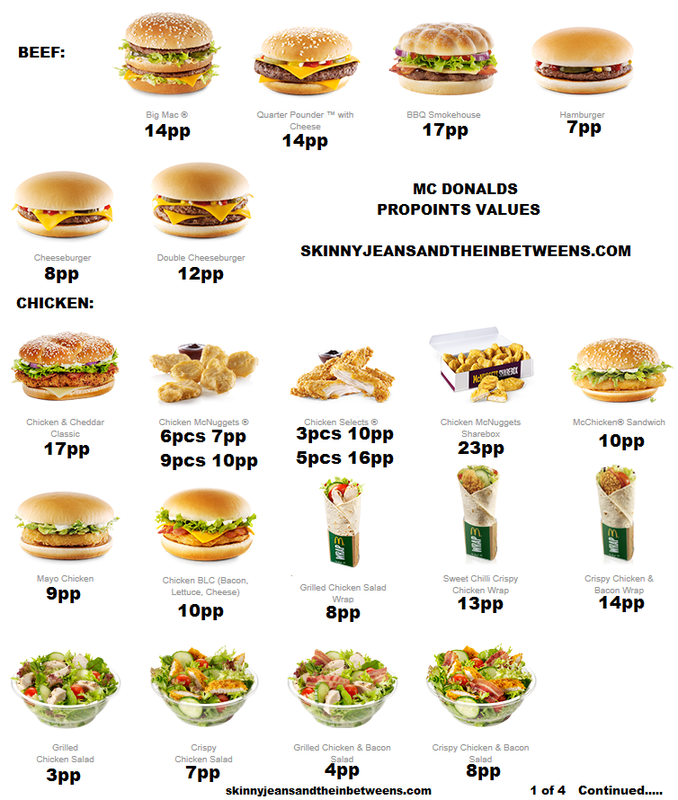 Oops now I’m really craving a burger! Salt & Black Pepper Preheat the oven to 180c. Finely chop the shallot & fry in a heated pan sprayed with oil for approximately 3 minutes until softened. 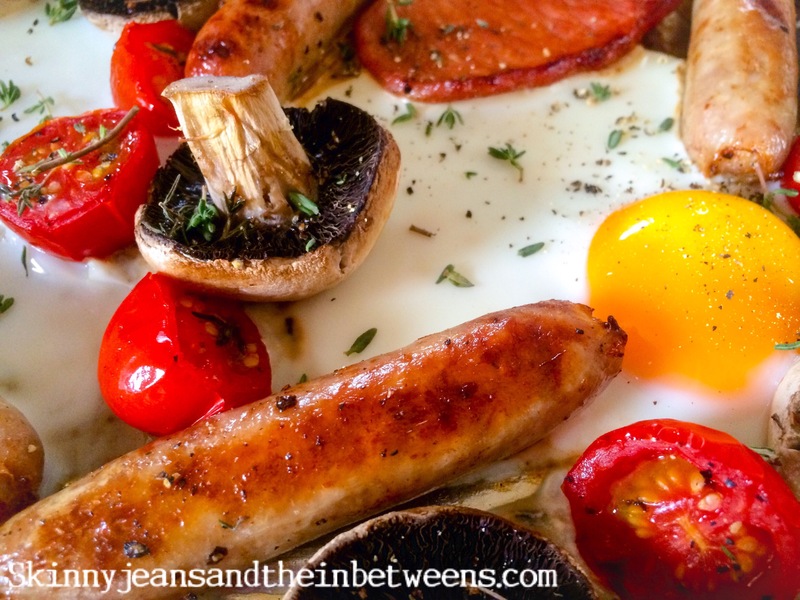 Remove the skin from the sausages & add to the pan breaking them apart with a wooden spoon into small bits frying them for approximately 5 minutes stirring & breaking all the time until they are fully cooked. Blitz the bread, sage, thyme, parsley, salt and pepper in a food processor or hand blender to make breadcrumbs. Add these to the sausage & onion mix for about 5 minutes stirring until the breadcrumbs are well toasted. (At this stage you can use this loose stuffing for a roast dinner or cool the mix & add 1 or 2tbsps of cream cheese to make stuffing balls that you can bake in the oven & use for a roast dinner too or continue with the recipe for the stuffed mushrooms). Transfer the breadcrumb sausage mixture to a bowl & put aside for about 10 minutes to cool & then mash in the Philadelphia cream cheese evenly mixing it through. Peel & destalk your mushrooms or prepare them as you usually do (I normally peel them as I’m slightly OCD like that! but just brush them off with a pastry brush or similar if not peeling them to remove loose dirt, you’re not supposed to ever wash mushrooms it water logs them & makes them incredibly soggy). 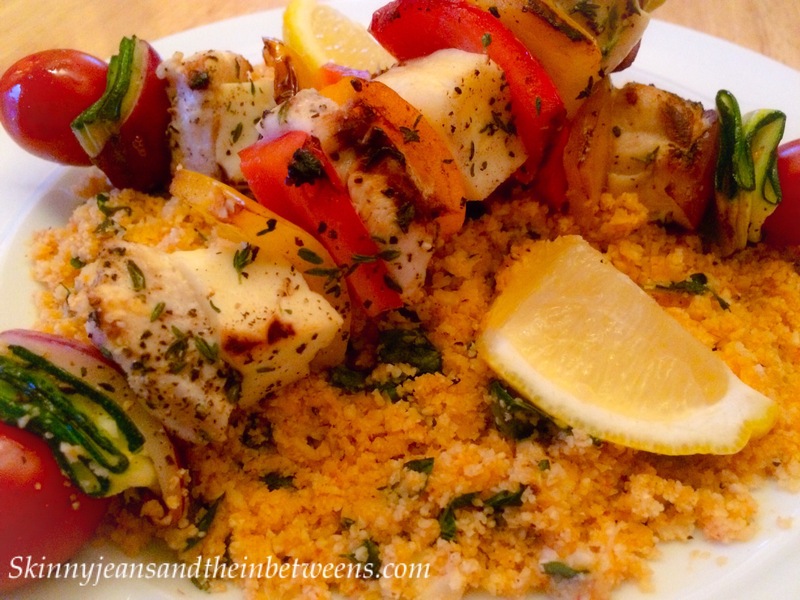 Lay them on a baking tray lined with foil. I gave the foil a quick spray of oil too. 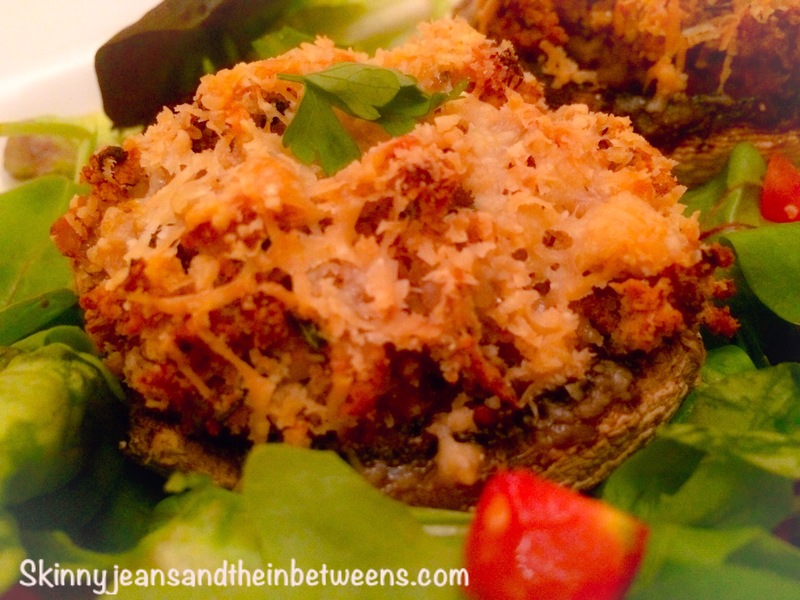 Fill each mushroom with equal amounts of stuffing & top each with 5g of grated parmesan. Carefully place in the preheated oven & bake for approximately 20 to 25 minutes until the mushrooms are cooked & the cheese has melted on top. Serve the Mushrooms with a fresh salad as a starter or serve with the accompaniments of your choice for a nice low propoint tea & Enjoy! 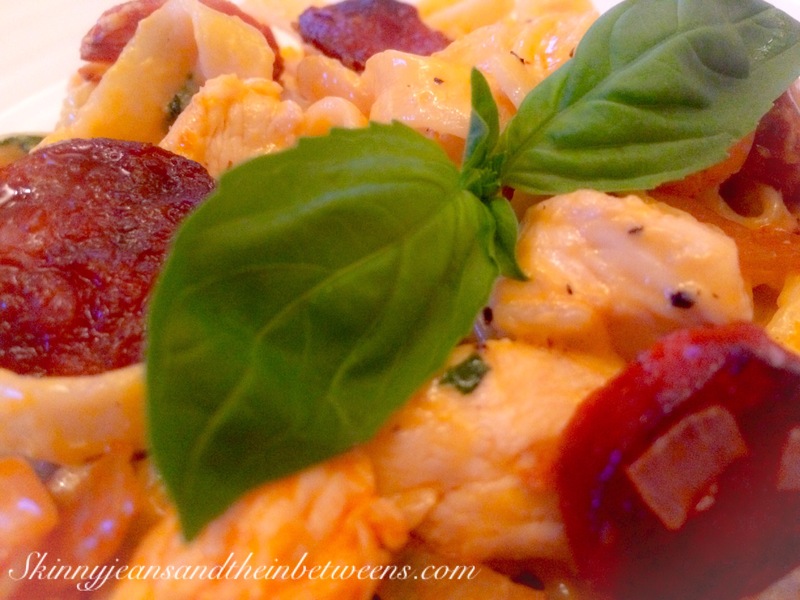 If you’re a regular visitor to my blog you’ve undoubtedly seen & hopefully tried my Gorgeous Chicken & Chorizo Risotto Recipe. Well the origins of that little tasty number lie here, I have made this dish a thousand times it is without doubt my most favourite invention ever & I adapted these particular flavours to fit around my popular risotto dish but the pasta version wins out every time. This is so simple to make I could do it with my eyes closed at this stage & it’s always welcomed with great enthusiasm in this household, I’m lucky if the chorizo makes it to the pot with little pickers! 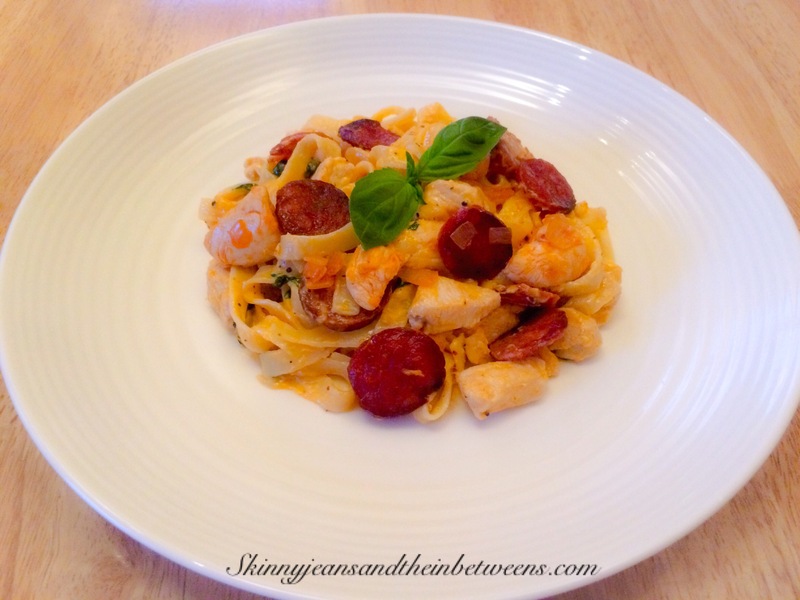 I successfully skinnied this up without losing any integrity of the original recipe, it is still generous in portion with plenty of chicken & chorizo per person at just 13 propoints or just 7 propoints on the filling & healthy plan (if using whole wheat pasta). This serves 4. I like to get everything chopped & organised into separate small bowls before I start so you literally just add everything to the pot in stages making for a very easy peasy dinner, so chop your shallots finely, dice the chicken into bite size pieces, peel the skin off the chorizo and slice it finely, grate the parmesan & set these all aside in separate bowls. Heat a large saucepan over a medium heat & add the chorizo slices, you don’t need any spray oil for this as dry frying the chorizo is going to release the lovely chilli oil from the chorizo that you will use to cook the rest of the ingredients with. Watch the chorizo carefully stirring occasionally so it doesn’t catch & burn this will take about 3 minutes until all the oil starts releasing from the chorizo & it starts to brown slightly. Remove the chorizo from the pan to a bowl and set aside leaving the chorizo oil in the pan. Add the chicken pieces & cook for 8 to 10 minutes until the chicken is fully cooked through, it will go a lovely orangey colour from the chorizo oil & will have mountains of flavour from that gorgeous oil. Add in the shallots for the last 3 minutes or so whilst cooking the chicken so they soften. Add the crushed garlic to the pan & sauté for 30 seconds to a minute. 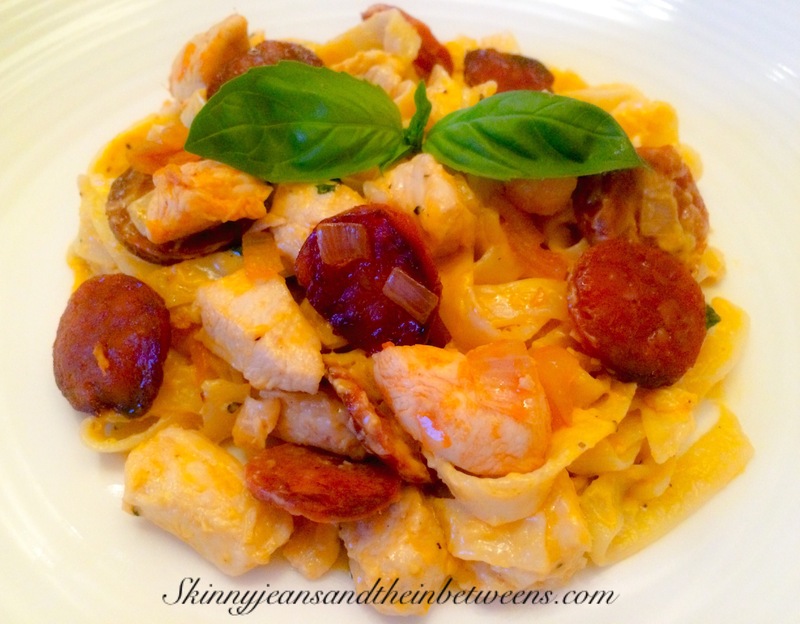 Return the chorizo to the pan with the chicken & shallots & pour in the cooking cream. Season well with Salt & Black Pepper & stir for 5 or 6 minutes until the cream thickens into a sauce. Add a tiny bit of the pasta cooking water from the pot to loosen the sauce if it goes too thick. Add the grated parmesan & stir for a few seconds until melted. Just before serving chop the basil leaves & stir through the cream sauce. Drain your pasta & add the pasta to the sauce stirring well to coat all the tagliatelle with the mixture & ensure even coverage of chicken & chorizo pieces. 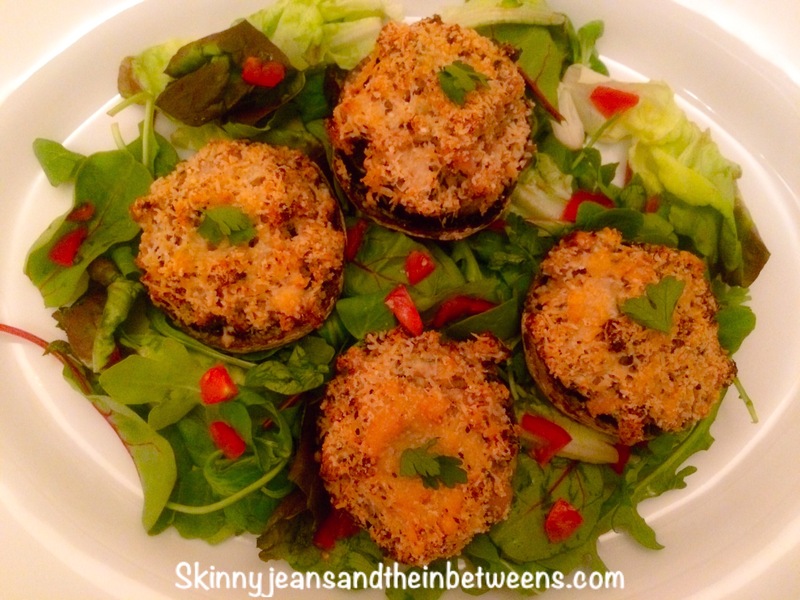 Divide between four bowls/plates, top with basil & Enjoy! When a cooked breakfast is the only thing that will hit the spot but you’re too darn lazy to start dragging pots & pans out of the cupboard! I’m off work Today (Yay!) in preparation for attending my cousins wedding at the weekend (as you know. 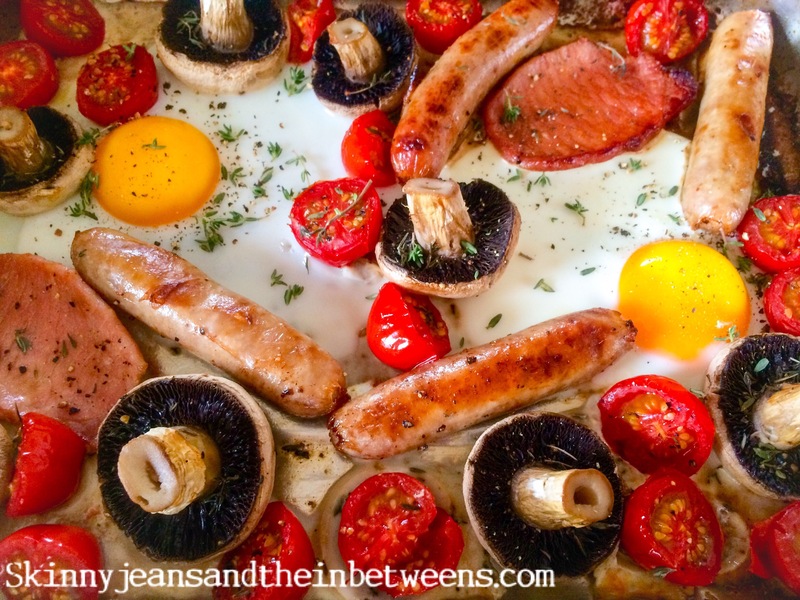 hence the lower carb week) When I’m at home I like a hot breakfast, something you wouldn’t necessarily have everyday or during the week & let’s face it, the full Irish is the ultimate in luxury breakfasts! Lucky for me it happens to be low carb too served without any bread or carb accompaniments so that’s what I fancied today. 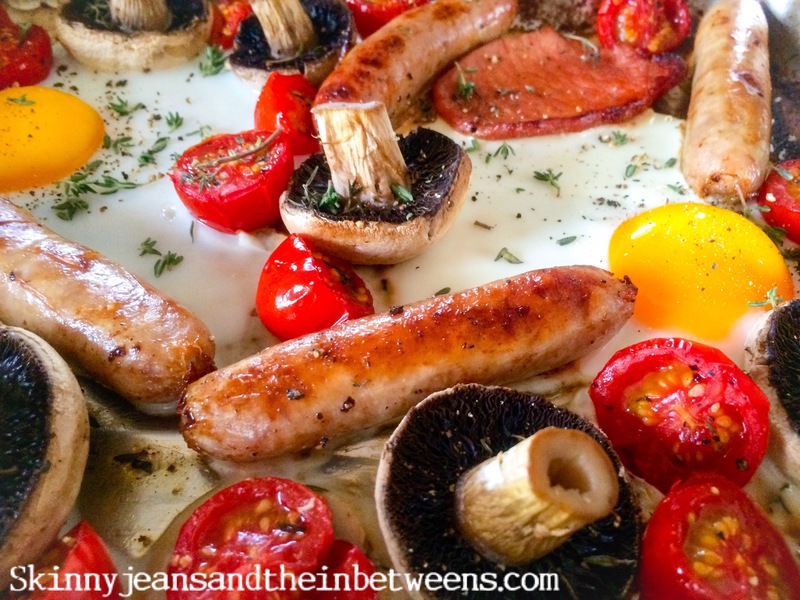 This is Super Healthy due to being baked & using lowfat gluten free sausages (I always use Mallons sausages they’re simply the best). Lazy bones here has chucked it all in the oven & the only hardship there after was waiting on it to cook. 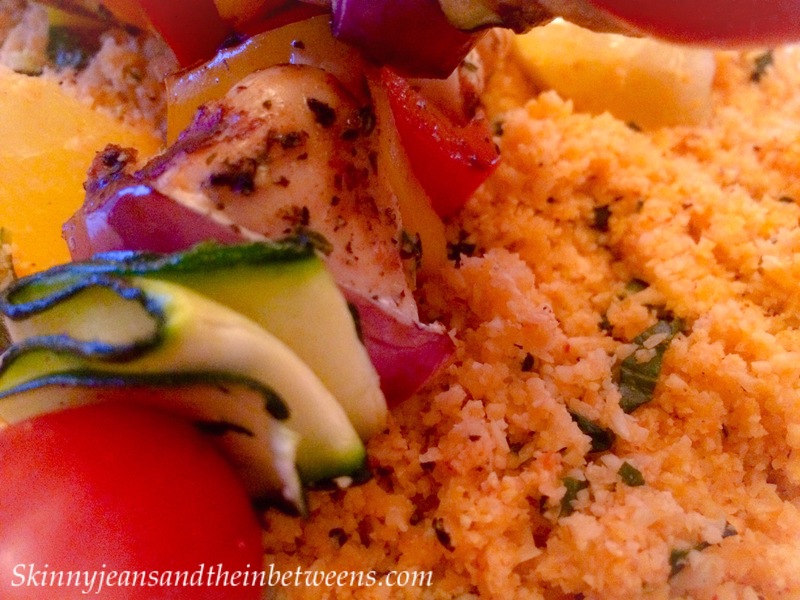 Delicious & healthy too only 5 propoints or 2 on the Filling & Healthy plan this serves 2. Preheat your oven to 200c. Place a large baking tray in the oven for about 5 minutes to heat it through. Spray the tray with oil & add the sausages & spray them too. Bake for 15 minutes. Add the bacon & mushrooms & bake for a further 10 minutes or so. Add the tomatoes for 5 to 8 minutes (you can season everything at this point with a sprinkle of the thyme leaves & black pepper) & when they are cooked & everything looks nearly done make 2 wells in the bake & carefully crack in 2 eggs. Return to the oven for 6 to 8 minutes or until the eggs are cooked to your liking. Serve with a cuppa hot tae & Enjoy! 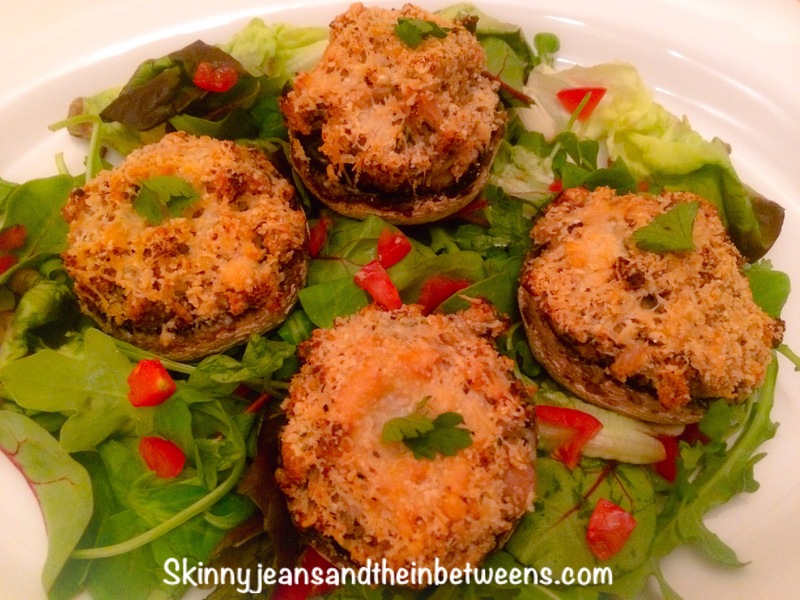 Continuing on from my last post the low carb week continues… this is just fabulously tasty & so flavoursome! 2, yes there’s 2! 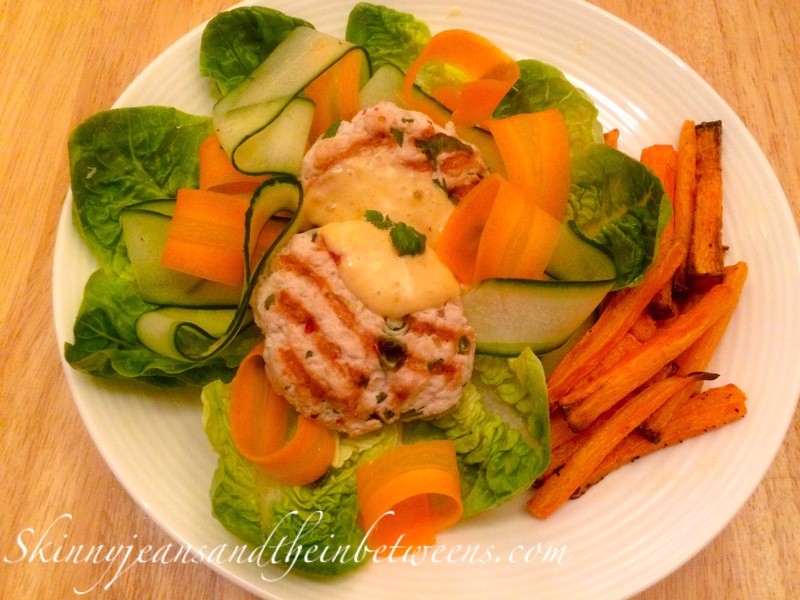 Beautifully Spiced Turkey Burgers & Toasted Sesame Flavoured Carrot Fries for just 6 propoints per serving (Just 1 propoint on filling & healthy) serves 2. 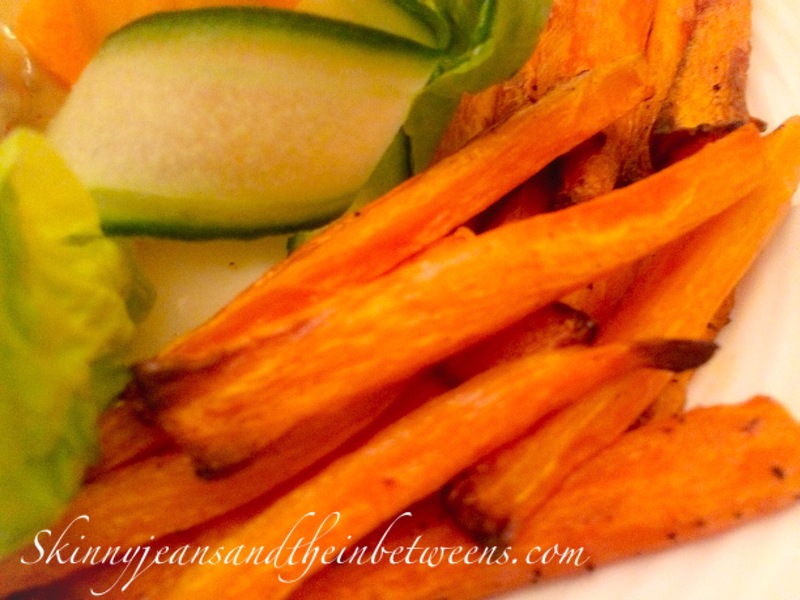 Peel & chop the carrots into chip shapes & place in a bowl with the sesame oil. Shake them around to evenly coat them in the oil & place them into a preheated oven at 220c for 35 to 45 minutes until cooked through. Meanwhile add all the patty ingredients to a large bowl & mix gently bit well being careful not to compact the meat too much to keep the patties light and not dense. Shape into 4 equal sized burger/patty shapes & fry in a preheated griddle pan sprayed with oil over a medium heat for 6 to 8 minutes each side or until completely cooked through. 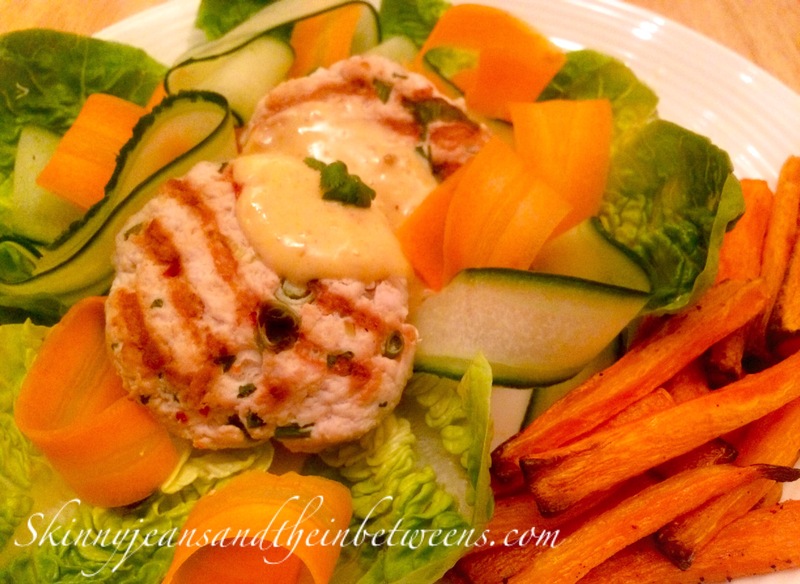 For the Mango Chutney Mayonnaise simply mix the Mayo & chutney well together in a small bowl. Arrande some baby gem lettuce leaves in a circle on your plate & add slices of cucumber & carrot shaved with a vegetable peeler. Lay the thai patties on top & spoon over a tablespoon of the mayonnaise. 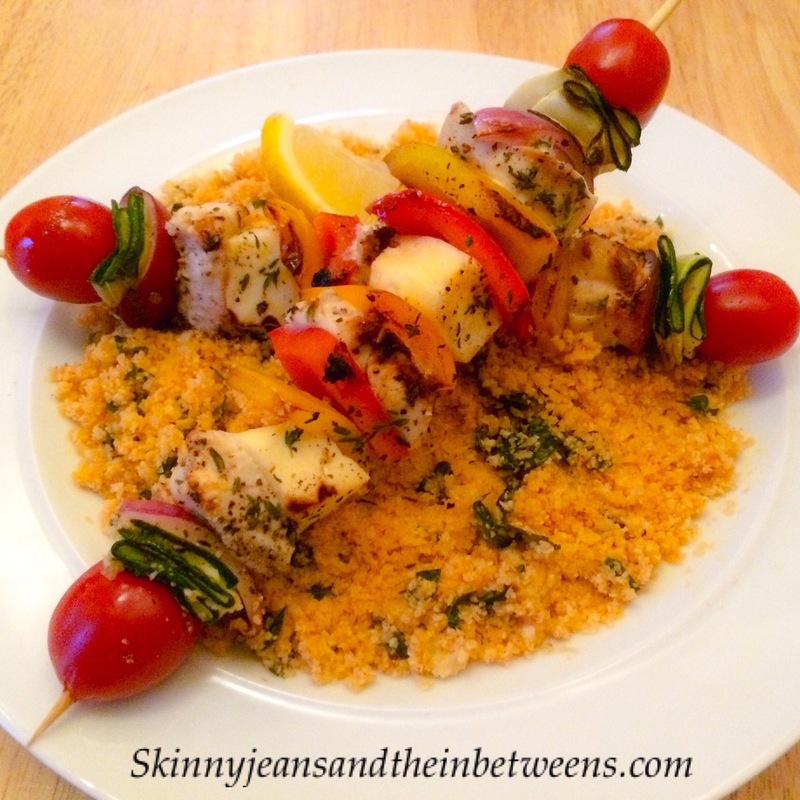 Serve with the hot sesame carrot fries & Enjoy! Remember I devised my anti-bloating survival guide when I was attending my Lovely Cousins Hen Party 2 weeks ago? Well the Wedding is next week and I bought a beautiful dress yesterday for it so I’m implementing my anti bloat strategy again so I can feel as comfortable & confident as possible in my gorgeous new dress. 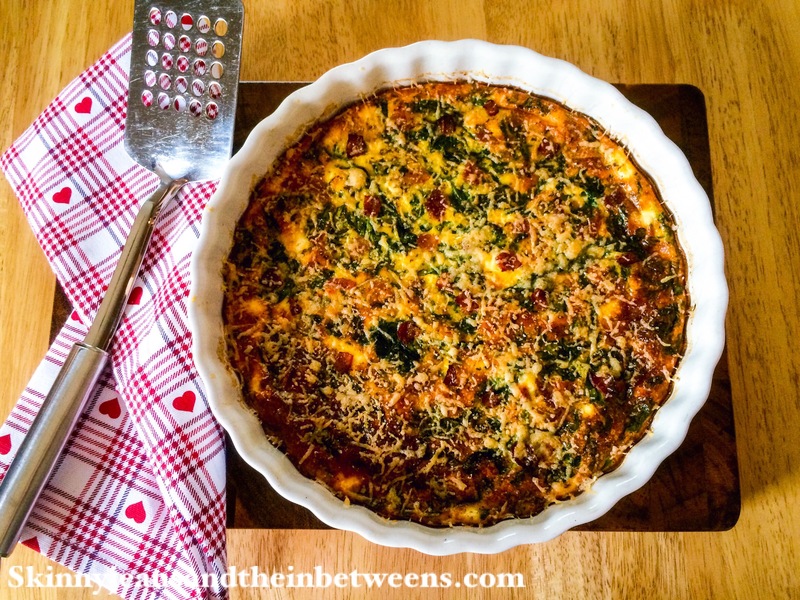 This means lowering carbs for the week & this quiche is a perfect low carb lunch or even dinner served with salad or vegetables. 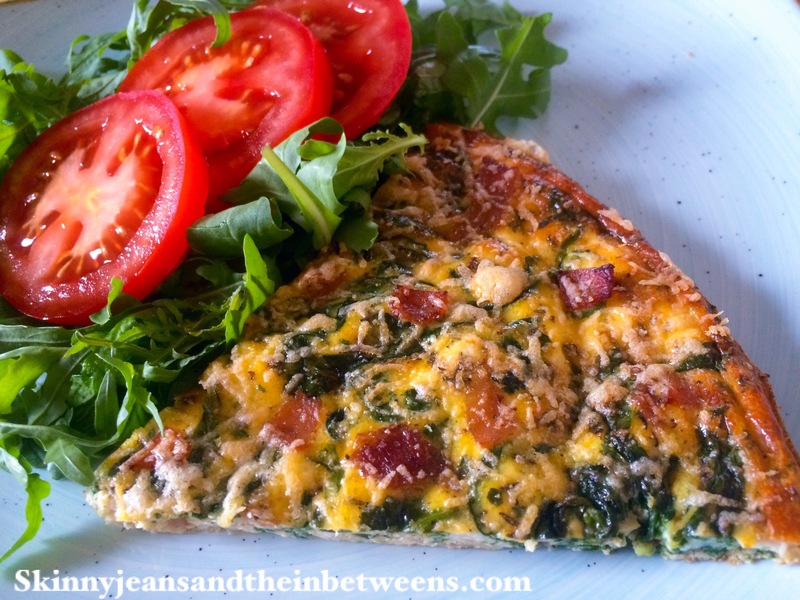 It’s creamy from the milk & ricotta & deliciously tasty flavour comes from the crispy bacon. This makes 6 servings at only 3 propoints a serving (1 propoint of the filling & healthy plan), trust me with this recipe you really don’t feel like you’re missing out on carbs at all! *The Ricotta was 5 propoints for 150g with the brand I used (Supervalu own brand) Make sure to check whatever brand you buy to make sure of points as they can differ & you may get more or less ricotta for your points. 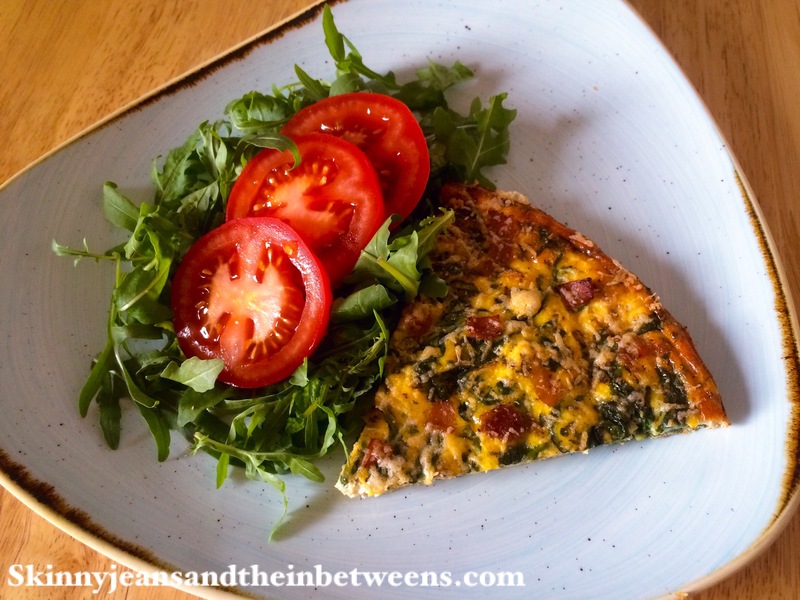 Prepare your Bacon & Spinach in advance as it needs time to cool down. Spray a large frying pan with oil & fry the diced bacon for approximately 4 minutes over a medium heat until fully cooked. Add the spinach to the pan & cook for a further minute or two until the spinach wilts down. Drain the bacon & spinach mix in a colander as the spinach will release a lot of water & allow to cool completely. When cool gently squeeze the mix to drain a bit more moisture out of the spinach. Preheat your oven to 190c. 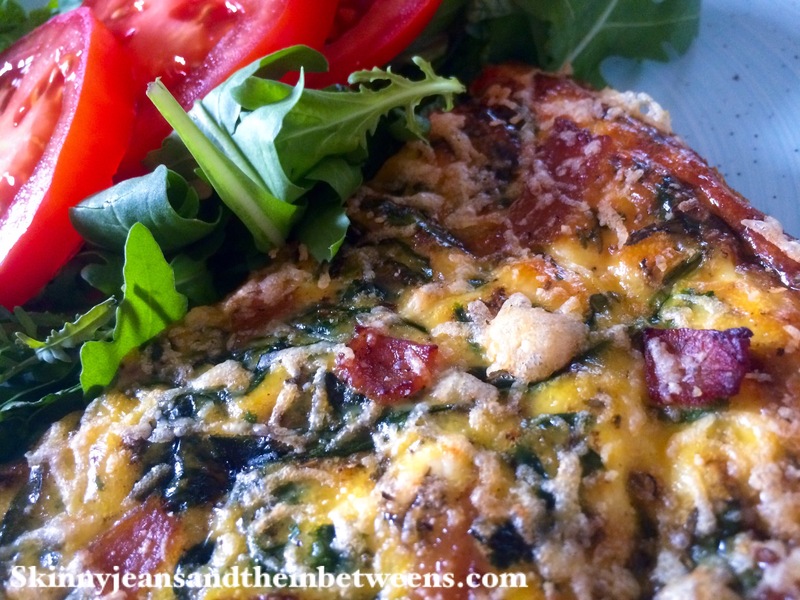 In a large bowl mix all the ingredients except the parmesan & add the cooled spinach & bacon. Whisk well with a fork & pour into a 9 or 10 inch quiche dish you have sprayed with oil (I spray a few squirts of oil & then spread it around the dish with a pastry brush for even coverage). 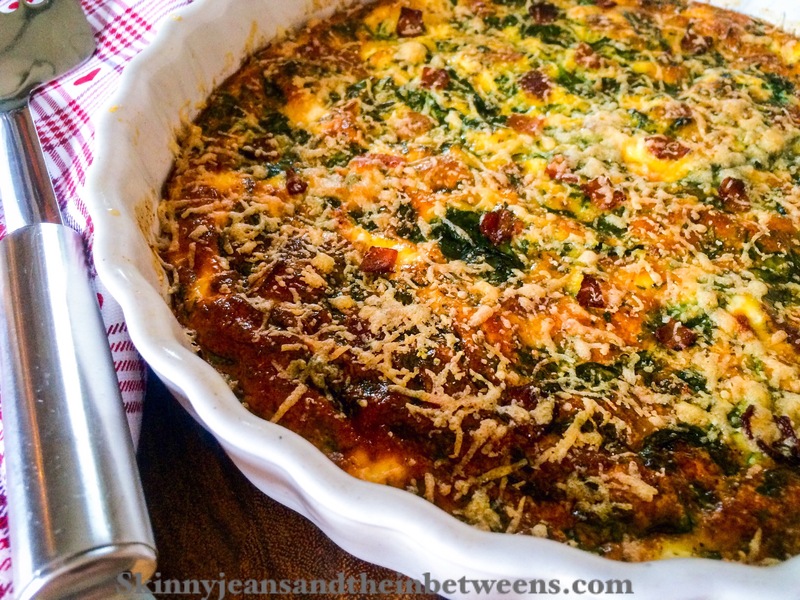 Place into the preheated oven for approximately 45 minutes or until cooked through & the eggs are set. About 15 minutes before the end of cooking time sprinkle the grated parmesan on top & return to the oven. 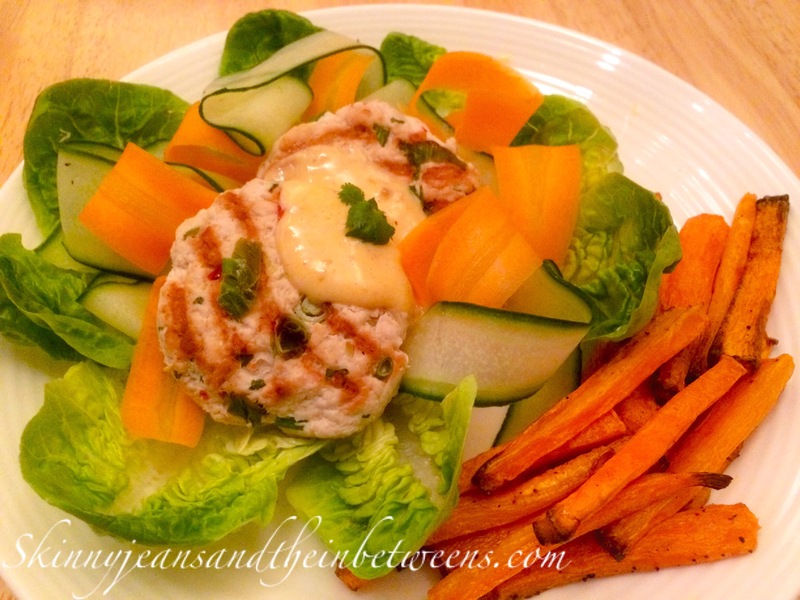 Allow to cool for 10 minutes before serving cut into 6 pieces serve with salad or vegetables & Enjoy!